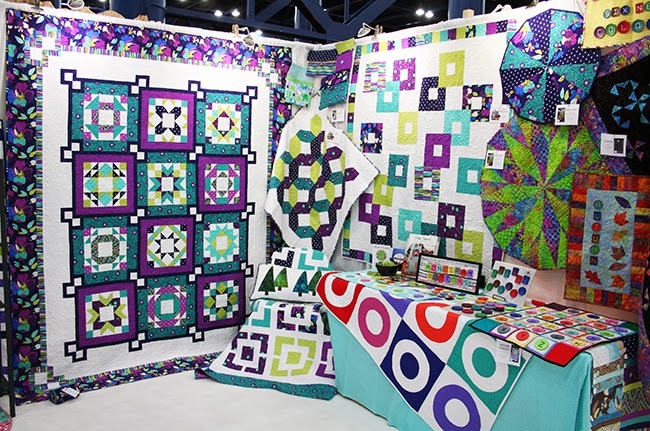 making it fun: Quilt Market Round-up! 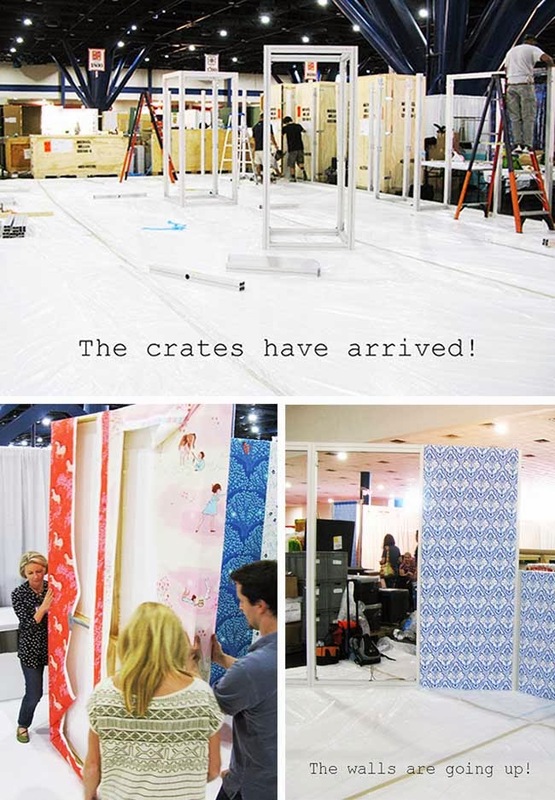 Setup started off a little bit slow since one of our crates was MIA... but, as soon as it showed up, we got busy! 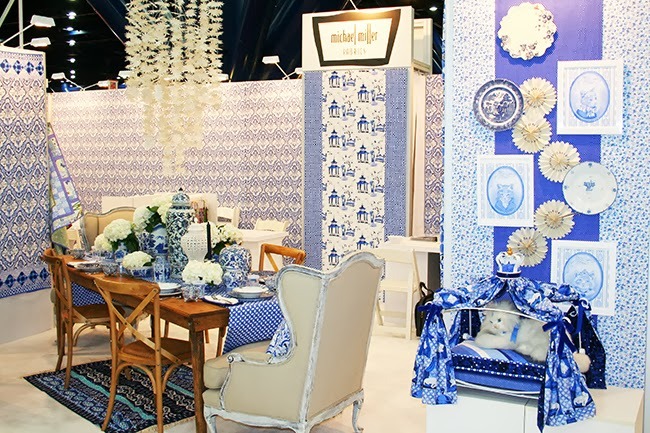 This market, our theme was Blue & White- The walls were covered with Toujours Bleu et Blanc and the booth was filled with all things blue and white: quilts, China, a cat bed (fit for royalty) and, of course, the MMF team! 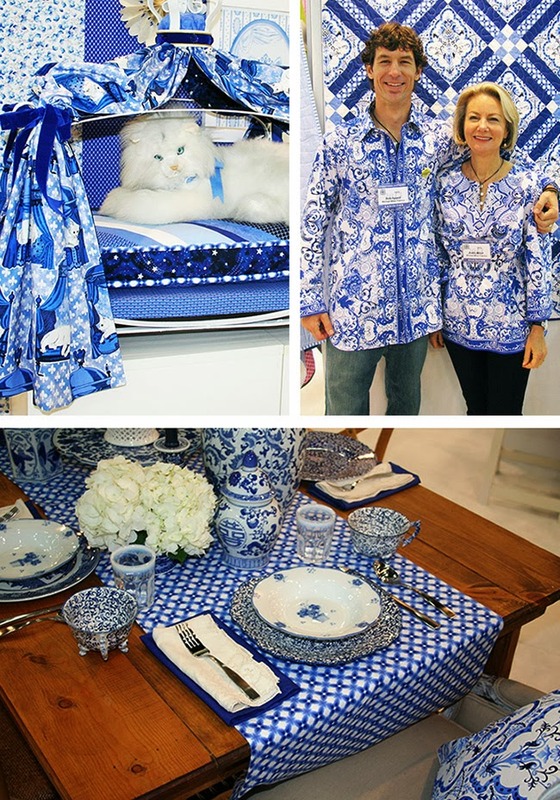 Kathy and Rob Appell are wearing Blue & White Porcelain. 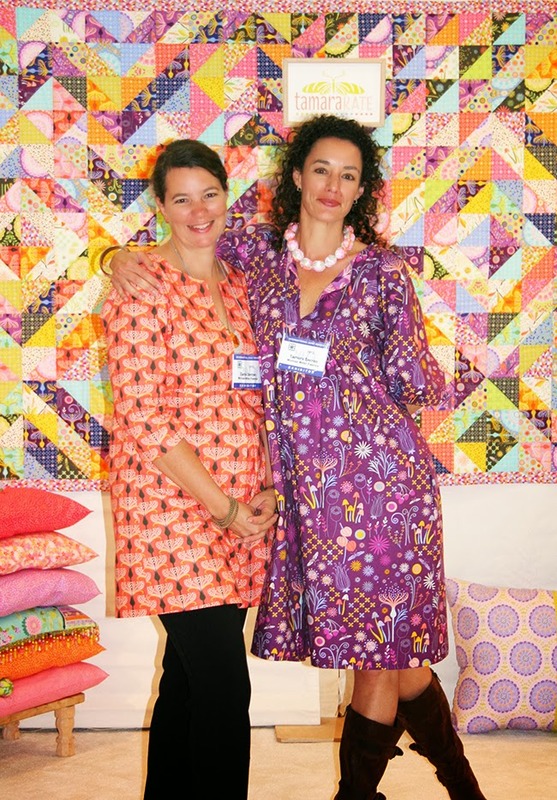 The quilt behind them (and pictured below) was designed by Emily Herrick and the free pattern is available here. 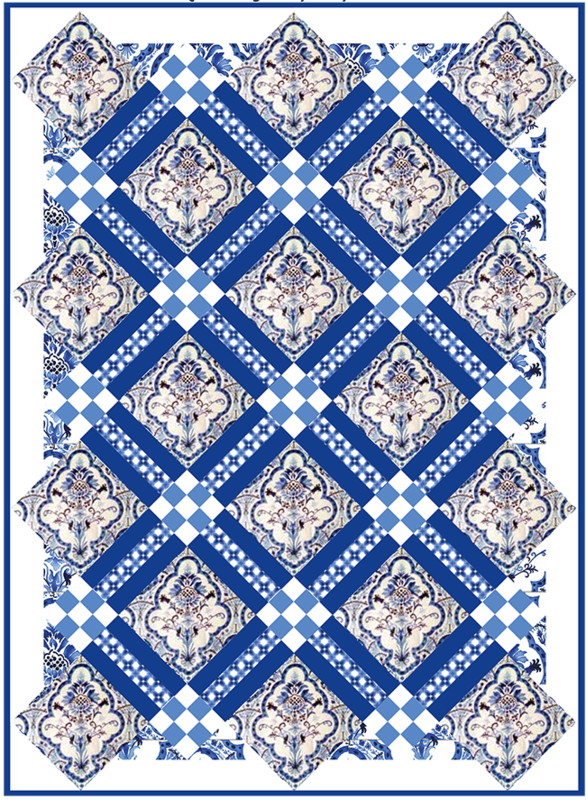 For the quilt pattern above, designed by Heidi Pridemore, click here. The Figgy's dress pattern can be found here. Rob, on his way to the MMF schoolhouses- he's wearing Romi. 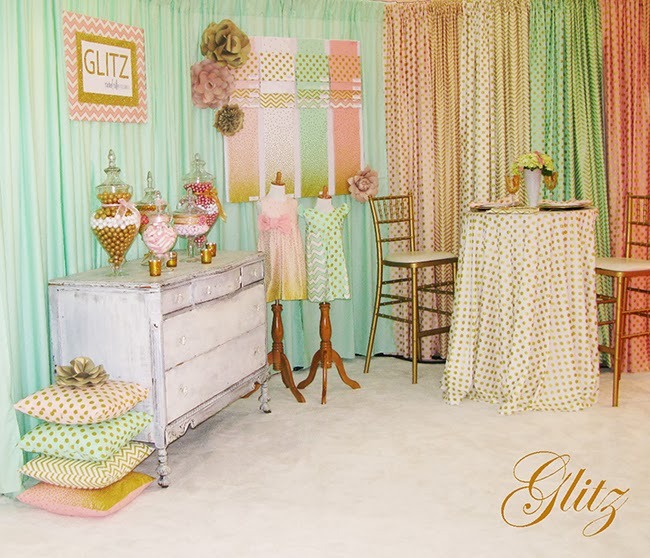 We glammed it up this season with our new collection, Glitz! 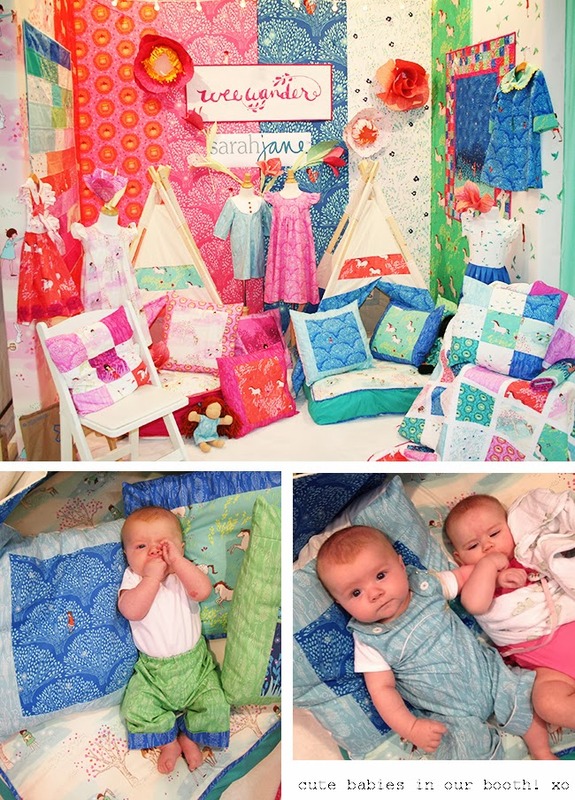 Sara Jane's collection, Wee Wander, was very popular- especially since her newborn made an appearance in the tee-pee! So cute! 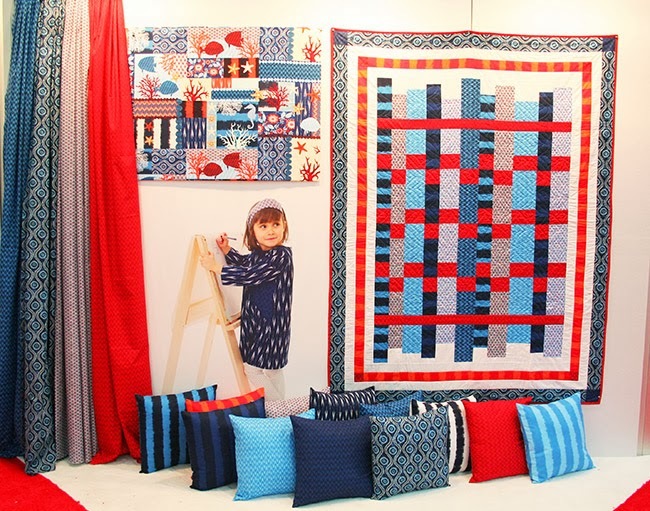 Tamara Kate debuted Helen's Garden and Quiet Time- Love that quilt in the background! Tamara is wearing Enchanted and her sister is wearing Pirouette. Don't forget to swing by Tamara's blog, Kayajoy. The Swirly Girl's released a new Clubhouse line, Daydream. 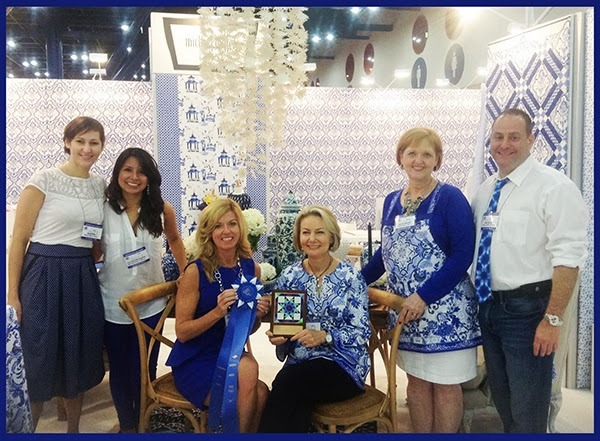 They had the quilt design displayed in their booth- It's pictured below in Jewel. This would be the perfect quilt for a Block of the Month! 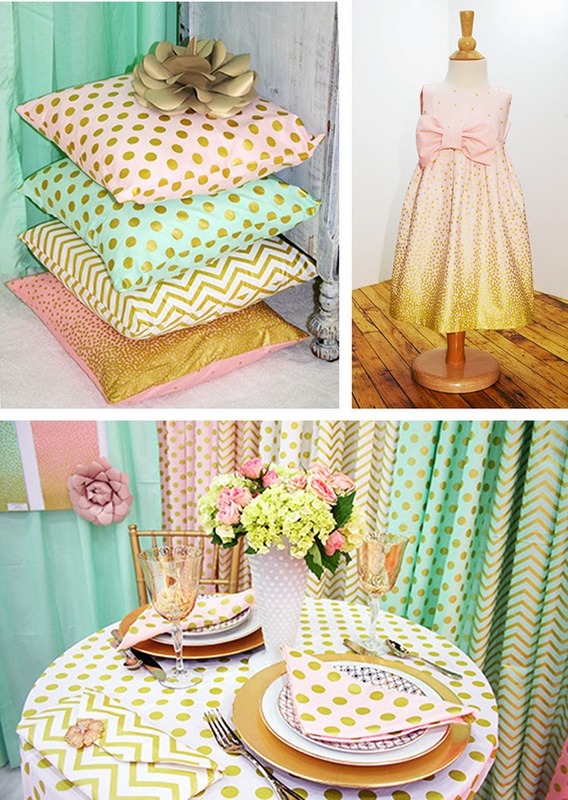 Happy sewing and I can't wait to see what everyone creates using all of our new fabrics! 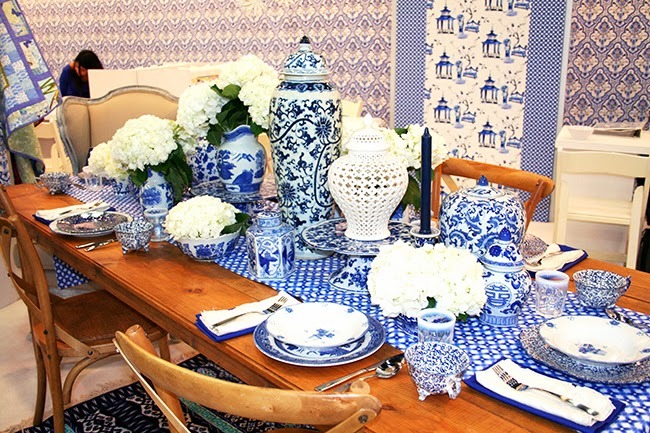 And, a special thanks to Emily Herrick, Rob Appell, Becky, Ed and Deb for all of their help and hard work this market! Oh the horses in Wee Wander, love it!! !